Here's a promise from me to you. We won't dive into your world of products and services if you promise not to try and become seasoned web developers. Deal? Deal! But, like you've probably guessed, the process of creating a killer web presence is much more than spouting off buzzwords and jargon. Also, the best web sites on the planet are rarely made by a single individual. They're created by tightly coordinated teams of experienced professionals with years of highly specialized skills. A skilled web designer doesn't just create pretty pictures (although the best designers are proud of the awards they've received.) Another common misconception is to assume that a print designer can easily make the leap to web design — good design is good design, is it not? Well, yes, a skilled web designer is fluent in the use of graphics tools like Photoshop and Illustrator, for sure, BUT they're also equally adept with understanding the design limitations of monitor size fluctuations, responsiveness, coding styles, CMS theme creation, fundamentals of UI/UX, and browser compatibility issues. Unlike ink being pressed onto a static piece of paper (a 580 year old tradition), the process of designing for the web changes almost daily — really. To stay abreast of this one aspect of web development is truly a full-time job. While the designer is pumping out polished pieces and the coder cranks out caches of code, the UI/UX professional creates seamless, intuitive interfaces. This individual taps into their strength by understanding the psychology and actions of the typical web surfer. The beset results are seen from experienced professionals who understand the limits of web functionality and the challenges faced by designers. Without the testing and ongoing attention of a UI/UX strategist, a web site will most surely suffer one of just a few fates (and you've seen hundreds of these sites); 1–Pretty pictures, slow to load, no functionality ... or 2–Uggggly, functional but impossible to find anything. Most small business sites don't require a lot of heavy lifting in the world of data organization and data management. If, however, your site is even remotely dependent on the collection and management of; client data, product data, market data, service data or data related to specific functionality, then a well thought out plan from an information architect is mandatory. Poorly planned IA will result in bad UI/UX, poorly functioning (or completely broken) code and enormous losses of time and money fixing what should have been planned well from the beginning of the project. Remember the seven Ps; "Proper prior planning prevents p*ss poor performance." OK, it's a cheesy blurb an old boss of mine used to say (a LOT), but it is soooo true. Once a designer completes the creation of all the design files, somebody then needs to slice-n-dice those images into a myriad number of parts so they can be reassembled into W3C, standards-based, compliant code. This isn't the code created by the programmers to make the site functional (more on that in a bit), this is the code that makes the site display properly in all browsers. The qualified Production Professional will have stayed abreast of ALL the insane number of changes the web development world has seen over the course of just a few years. If you've ever seen a site that looks fine on a Mac in Safari but is completely butchered in Internet Explorer on a PC, then you know what we're talking about. Don't let this happen to your site. Now we get down to actual programming … what most people think is done to create a web site. I hope I've demonstrated to you that it's not just a programming task. That being said, the use of efficient, flexible, secure code is mandatory for fast, efficient web development project. Unskilled programmers can cost a business owner dearly in re-writes, scope-creep, cost over-runs, server hacks, downtime, broken links/functionality/images/etc., and any number of technical glitches that will destroy the user experience of a site. Again, how many times have you been to a site that is completely broken beyond all possible consideration? The five categories above are just the big buckets that constitute the creation of a web site. There are MANY more skills that might be necessary for your project. These would be, but not limited to; copy writing, intellectual property and trademark issues, branding, animation, illustration, specialty scripting and coding, research, beta-testing, marketing strategy development, search engine optimization, pay per click campaign creation, social media integration ... again, the list goes on and on. Ten-time Winner of Forbes' "Best of the Web"
If your prospective developer doesn't thoroughly understand the differences between each of these web development sub-skills or, worse yet, they claim that they have mad skills in all of these areas, please RUN. Run as fast as you can. This is not to say that the web development agency you hire needs to have all of these people under one roof. In fact, I would suggest that the best programmers don't live anywhere near the best UI pros who don't live near the best designers. Since 1994 (just one year after the advent of modern web browsers) Flock Marketing's ever-evolving team of professionals – mostly subcontractors – has been applying their respective skills to the creation of some pretty amazing sites. Why do we work this way? Easy; Every project is different. Every project has different needs. By keeping our team to one tight-knit group of developers and farming out the less frequently needed tasks, we save on overhead (read; cost savings for you) and you only pay for the talent required for your project. It's like hiring a highly customized team of professionals assembled exclusively for your project. No, it's not "like" that ... it IS that! Yowza, a lot just got dumped on you. Surely you have a question or two! Give me a call and I'll be happy to point you in the right direction. Kevin is, in my opinion, one of the finest Web Developers in the industry. He has created a number of my sites, all of which are doing very well. His creative flair is uncanny. He just "gets it." More importantly, it gets done on time and at a very fair price. Kevin has an incredible knowledge base in branding, marketing and web development. His creativity never ceases to amaze me and he is an outstanding business partner. There are very few people out there with his level of integrity and business savvy; I consider myself lucky to be associated with Kevin. Incredibly Creative … Infinitely Strategic! Kevin is a rare combination of left and right-brain insight/creativity and action/results. He’s created several web sites for my companies over the years, surrounds himself with amazing thinkers (and is one, himself) and is always on the forefront of marketing strategy—the new and the next! 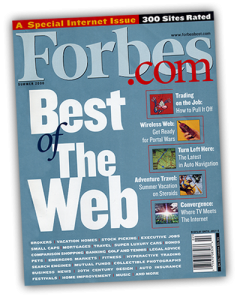 Kevin worked with NETSHARE.com on multiple iterations of our website over the years, including 10 "Best of the Web" accolades from Forbes Magazine. It is always a pleasure working with him. His depth of knowledge, creativity, marketing savvy, and yes, patience earn him high marks from me! Kevin is one of the most creative marketing/ BRANDING people I've ever hired.....I've used his advice several times and referred him many more...there is nobody who explains branding, marketing or who boils it down for a CEO better than Kevin.....I will always defer to him for web, social media and branding expertise. Kevin help us rebrand our company. We have seen a significant increase in new customers since the rebranding efforts. Our global sales have also increased from nothing to 10 percent of total revenue in a very short period. Thanks Kevin!